© Alchemy Interactive 2018. All Rights Reserved. SAK’D Merch for the Win! 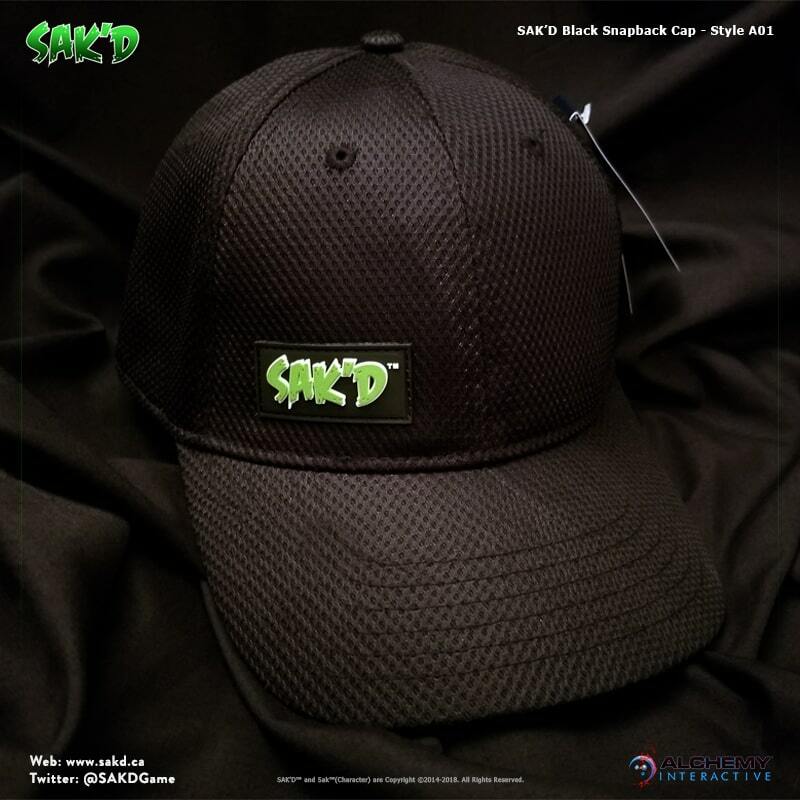 It has taken almost two years, countless emails and dozens of different prototypes and promotional material manufacturers and suppliers from Canada, China and the United States, but we finally have some quality merchandise we’re proud to put our name on and a quality guarantee behind. If anyone who ever gets into the independent game development scene ever tells you that finding decent merchandise to promote your project is easy, we’d love to meet them. The end result though, is completely worth it. Thanks to Glen at Wicked Stitches in Spruce Grove, Alberta, Canada for coming through in a pinch and helping to coordinate months of efforts and our OCD-flavoured perfectionism. 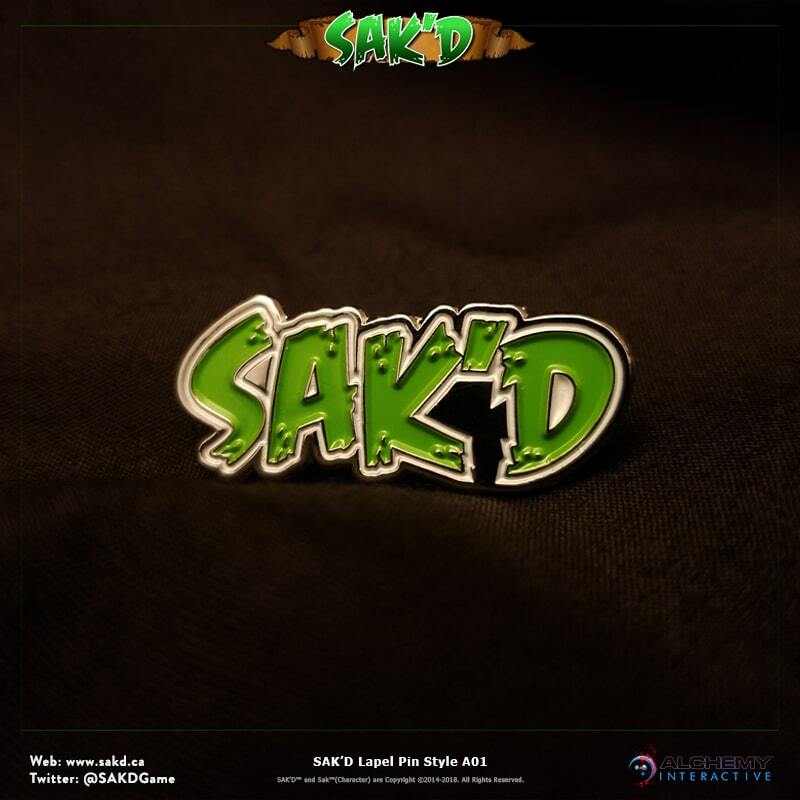 We’ve locked on to some great SAK’D game gear we’re sure you’re going to love! 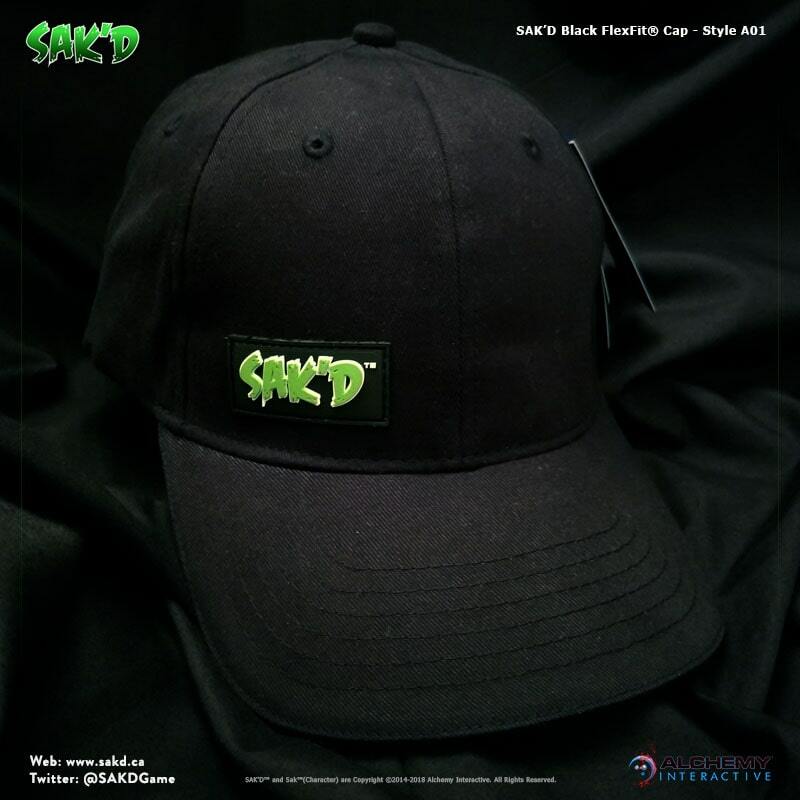 Hats; Snapback and FlexFit® hats emblazoned with the SAK’D game title. 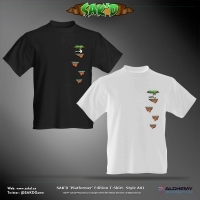 T-Shirts; Black or White 100% Cotton Fruit-of-the-Loom T-Shirts. Hoodies (Coming in 2019); Some of the coolest game gear in the store, coming in January, 2019. 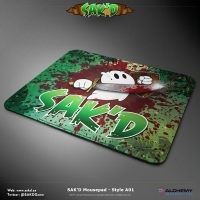 Mousepads; Original SAK’D designs on ultra-thick premium gel mousepads. 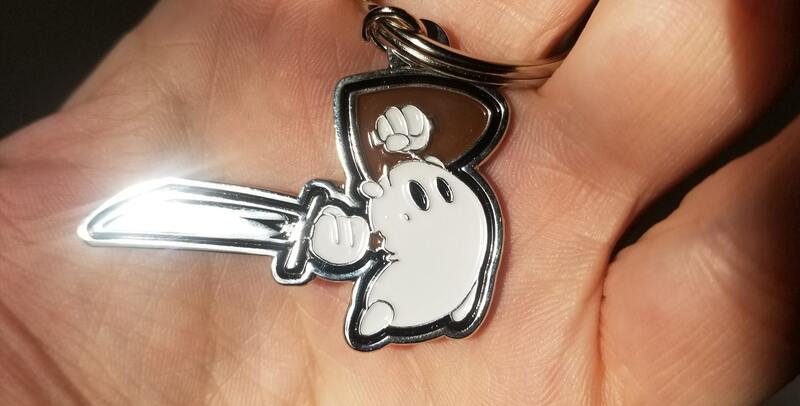 Keychains; High-quality metal and enamel keychains. Posters; 24″x36″ Prestige-quality game posters. Pins; A sharp statement of your support for Sak’s adventure. Merchandise is Weird: An Indie Tale. In the spirit of transparency and #indiegamedev community, we’re going to be providing some insight into our experiences as an independent game developer, including our merchandise design and production efforts. We’ll be candid, and probably won’t pull many punches, so just a heads-up that not everything you catch in this blog is going to be pretty. We’ve had some nightmares occur and accidents happen, and it’s expected, but we feel it’s important to share the good and the bad so others might learn and benefit from the ups and downs of our roller-coaster ride to the top. So, the idea of getting merchandise produced for an indie game project like ours is so easily conceived that one might assume the process from idea to object is just as easy. As it turns out, it’s the furthest thing from simple, or direct. 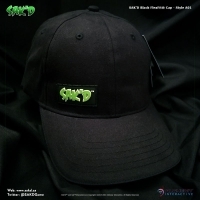 You’re lucky if they call you back, and just hope that you don’t try to ring in your prospective order for hoodies or hats during a time when sports teams get their gear, which is all year long. We had been back-burnered multiple times over the course of a couple years and discovered that most people won’t even pick up the phone to return a message unless you’re ordering $10k worth of clothing, and even then you’re likely small potatoes compared to whatever ball team happens to be gearing up in the summer or hockey team in the winter. 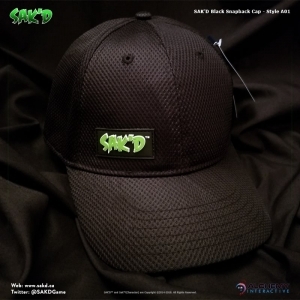 Your order of 50 hoodies and 50 hats just doesn’t garner the attention that 24 jerseys and associated gear gets, and you can’t really blame the people selling the promotional goods, it’s just business. Communication had been difficult with almost everyone we dealt with, and often we wouldn’t hear back on our inquiries until many days, weeks or even in a few cases, months later. A few places didn’t even return our messages. And when a business does get back to you, it’s always the same, “Sorry, we had a team of __________ place an order for X amount of ____________ and we had to jump on that.”, or any variation of the same reason. We did end up landing a great local promotional products producer, but again, had to wait over a year for their availability to widen to a point where we could get in, and then had to jump at the opportunity, after all, our efforts we’re being constantly tested with out of province and out of country avenues of production.and we were not having any luck. Just a word of caution, you will have to be a bit relentless in your pursuit of information and assistance, especially if you’re in the domain of small-run orders. Prototypes for promotional items are also expensive and time-consuming to produce and review; up to $200 for a hoodie, $50 for a hat, or $70 for a single keychain or other die-cast product and then you have to wait (typically 6-8 weeks) for that prototype to arrive. When the prototype arrives, you’d best set the bar of expectation at a reasonable level or risk opening a Pandora’s Box of disappointment. 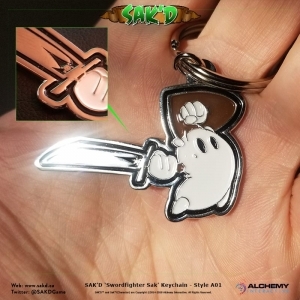 Flaws happen, and certainly translation and interpretation of verbal or written instruction can create unwanted elements in the prototype, but it’s not the end of the world; you just note the elements of your product that require correction and then order another one, right? Well, it’s easy to say for an established business, but for a solo project or fledgling developer powered by volunteer steam, that $70 and the subsequent 6-8 week wait can be killer. In the end, we spoke with a total of 42 locations from 5 different countries, sent hundreds (if not thousands) of emails and ended up with a single local establishment for production, and it was only through tenacity and timing that we managed to land that business relationship, since they are also subject to the same seasonal sports team rushes and crushing economic issues as any other producer of such things. Of course we weren’t about to let any of this deter us. We plowed through all the commotion and ill-communication, communicated and did our fair share of trial and error (almost two years total to arrive at most of the awesome stuff we have in store), and we saved up enough funds time and again for prototypes until we could be certain that we had products that our fans would be happy with. Be prepared. – The more prepared you are with every detail of what you are attempting to produce the easier it will be to explain to others and the more likely you will achieve an accurate end result. Be Specific. – Schematics or artistic renderings of objects should describe every millimeter, every fiber and every angle. Leave nothing to chance or assumption, or it will get assumed and 9 times out of 10, it will be wrong, and assumptions leading to mistakes can cost oodles of time and money. Be prepared to wait. – As mentioned, prototypes aren’t cheap, and they come with some phenomenal wait times, particularly in the case of metal items, plush manufacturing or built-to-order hats, hoodies and other clothing. 6-8 weeks is the wait time on delivery of a prototype in 90% of the cases we experienced. Then you still have to complete a production run. We hope this helps a few of you out! Do you have stories of merchandise success or woes from a small business or independent game developer standpoint? Find us on Twitter and share! come together to create amazing interactive entertainment and mind-blowing digital experiences. SAK’D, the logo, Sak (the character), Alchemy Interactive (and logo) are registered and unregistered trademarks of Alchemy Interactive, Inc. 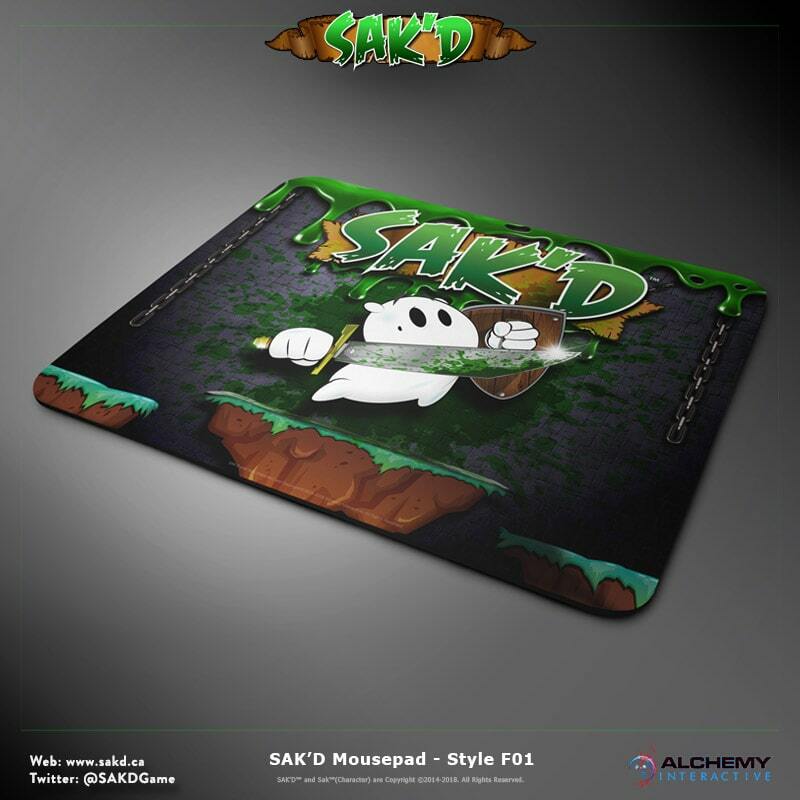 Copyright © 2014-2018 Alchemy Interactive, Inc. All Rights Reserved.